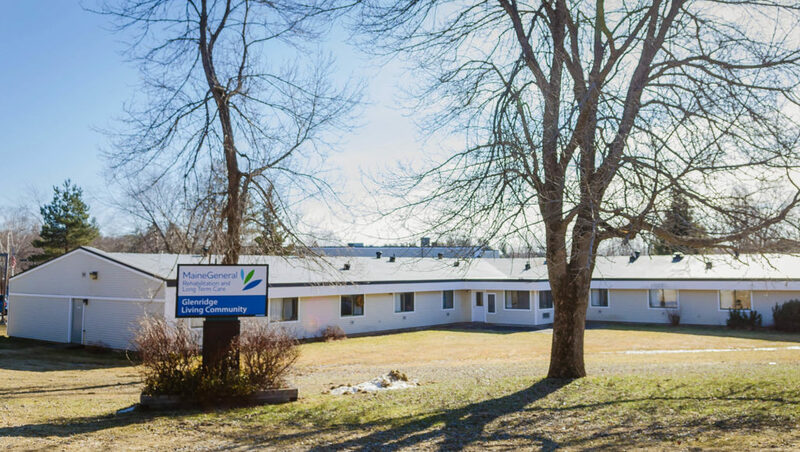 MaineGeneral Rehabilitation & Long Term Care at Glenridge is a 125-bed skilled long-term care facility specializing in Alzheimer’s and other dementia care. In addition, the facility has a 5-bed hospice unit to care for patients in the terminal stages of dementia. Glenridge is the primary long term care training site for the geriatric medicine fellowship. Fellowship faculty members provide all clinical care for patients who reside at Glenridge, with a faculty physician serving as medical director for the facility and an advanced-practice nurse faculty member on site daily during the week. Our strong presence in the facility ensures that fellows have direct supervision at all times and access to education at bedside. Fellows gain experience in nursing home admissions, direct management of complex geriatric syndromes, and leading interdisciplinary teams that include physical and occupational therapists, speech therapists, recreational therapists, and dieticians, as well as staff from pharmacy, nursing, and administrative services. Additionally, fellows have the opportunity to develop skills in applying quality improvement methodology to optimize care. Fellows with an interest in medical directorship have an opportunity to build knowledge in practice management through their longitudinal experience at Glenridge.